The 2012 Porsche Panamera packs a powerful punch. No newsflash there. 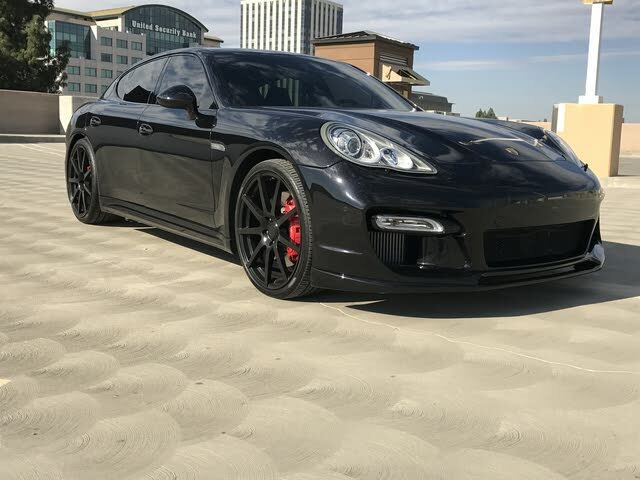 Power, performance and Porsche have long gone hand in hand, and the 2012 Porsche Panamera quickly fit the formula when it arrived three years ago and has added to the power picture each year simce. The Porsche Panamera Turbo S bursts onto the scene for 2012, a high-end addition that boasts a 4.8-liter, twin-turbo V8 good for 550 horsepower and 553 lb-ft of torque. What’s more, “Sport” and “Sports Plus” modes on the Turbo S feature an overboost function that kicks that torque up to 590 lb-ft. A combination of improved turbochargers, engine control modifications and titanium-aluminum turbine wheels led to the increase in power. The Panamera features an assortment of high-performance powerplants as it steps up to the Turbo S. The base Panamera gets a quick 3.6-liter V6 that is good for 300 hp and 295 lb-ft of torque and can move from 0 to 60 in 6 seconds flat, Porsche says. The 2012 Porsche Panamera S and 4S come with a 4.8-liter V8 at 400 hp and 369 lb-ft of torque. The 2012 Porsche Panamera Turbo ups those numbers to 500 hp and 516 lb-ft of torque. EPA estimates for the 2012 Porsche Panamera range from 18 mpg city/27 highway for the base model to the 15/23 of the Turbo and Turbo S. The Panamera and Panamera S are rear-wheel drive, and the Panamera 4, 4S and Turbos are all-wheel drive. All of the Panameras get Porsche’s Dopplekupplung (DPK) transmission, which is a 7-speed, dual clutch, automated-manual system. The thing is, the 2012 Porsche Panameras are far more than merely rocket ships on wheels, too. Since the Panamera's arrival, reviewers have raved about the four-seater’s versatility as a sporty, four-door luxury car that can be many things to many people – as long as those people have deep pockets, of course. They love the power and handling and acceleration – Porsche says the Turbo S can get from 0 to 60 in 3.6 seconds, and some experts claim that’s being conservative – and love the interior and ride of the Panamera as well. All the goodies and all the power come at an escalating price, certainly. 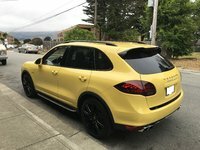 The entry-level 2012 Porsche Panamera starts at about $75,000, the Turbo S is almost $100,000 more than that, and to get it fully loaded pushes the number close to $200,000. But what’s a six-figure bump among friends and Porsche lovers? Experts praise the cabins of the 2012 Porsche Panameras for their roominess, comfort and technological features. The Panamera looks, drives and rides like a sports car, they note, but it also has enough sedan interior attributes to make it a fine choice for a longer cruise. The rear seats of the hatchback fold down to leave 44.6 cubic feet of cargo space in the back, leaving room for a couple of bicycles or four suitcases. A moonroof, Bluetooth hands-free phone connection, automatic climate control, a leather-wrapped multifunction steering wheel and Porsche’s communications control unit, which allows for adjusting audio and other systems with a touchscreen, are just a few of the features that come standard throughout the 2012 Porsche Panamera lineup. 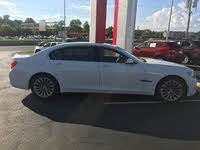 All trims also have a rear parking alert system, and a parking assist system is an option. The Panamera S and 4S come with partial-leather seats, and the fronts are heated. The Turbo and Turbo S get leather throughout, and front and rear seats are heated. Porsche offers a wide assortment of options with the Panamera as well, from a rear-view camera to four-zone automatic air conditioning, and from a rear entertainment setup to a 16-speaker, 1,000-watt Burmeister High-End Surround Sound audio system with a 300-watt amplifier. Porsche sends the 2012 Panamera out with traction and stability control, antilock brakes (with brake assist) and a full array of airbags, including knee bags for the driver and front seat passenger. Ceramic brakes are available. What's your take on the 2012 Porsche Panamera? Users ranked 2012 Porsche Panamera against other cars which they drove/owned. Each ranking was based on 9 categories. Here is the summary of top rankings. Have you driven a 2012 Porsche Panamera? Does The Body Line From Panamera Hybrid Fits To Panamera Diesel 2011?